There are a few questions surrounding the Giants this season. The first question is if the starting pitching staff can rebound after a disappointing 2013 season. The starting pitching was one of the main reasons why the Giants didn’t make the playoffs last season. Cain wasn’t his dominant self, Lincecum struggled, and Ryan Vogelsong was injured and mostly ineffective last season. Hudson will improve the starting pitching rotation, but he’s coming off of a scary ankle injury that he suffered last July. Bumgarner has proven that he’s the ace of the pitching staff, and hopefully the other starters can maintain some consistency, like Bumgarner did last season. Another question is whether Sandoval can keep his weight down and maintain it for the whole season. Sandoval came into Spring Training in great shape, and his weight loss has clearly helped him both offensively and defensively. 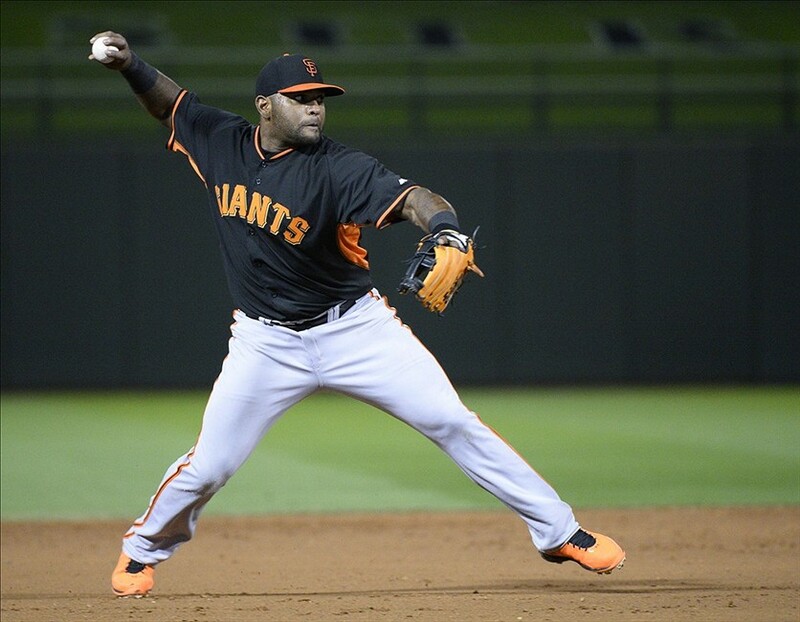 The Giants would love Sandoval to stay in shape, but it’s also in Sandoval’s best interest too. He’s in a contract year, and he’ll have to prove to the Giants, and to all of MLB, why he deserves a long-term, large contract. Another question is if the Giants can stay healthy. Besides starting pitching, health was the one of the biggest reasons why the Giants struggled last season. When Pagan went down, the Giants’ offense greatly suffered. Cain, Vogelsong, and Sandoval all spent time on the DL too. The Giants need to stay healthy if they want to get back to the playoffs, and Scutaro’s injury is definitely a concern, especially if Arias struggles hitting from the number two spot. 2013 showed what the Giants look like when they suffer significant injuries. Hopefully, 2014 is full of good health for the Giants. The last question for the Giants is if they can prove that last year was a fluke. With a revamped starting pitching staff and starting lineup, the Giants have a great chance of having a much better season in 2014.